When it comes to your professional use products, Simple Inked has a seamless process to track and record what professional products you're using in the studio. We suggest that you have a stock bin out back where you put all your empty professional/studio use colour tubes and product containers. 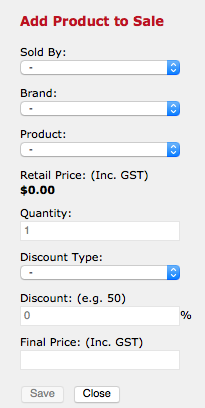 Then once a week, bring the bin to the computer, go to POS and click the Studio Use button. 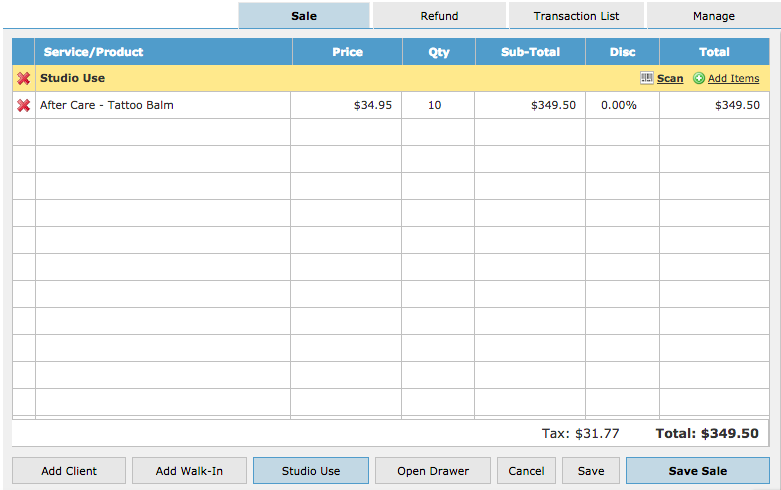 To add the studio use products to POS, select Add Items. 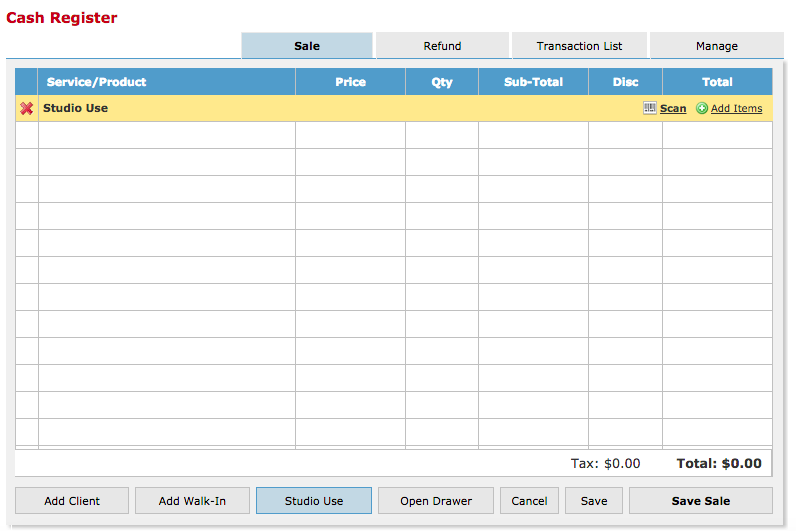 Now add each of the used products to the POS page by searching them on the right side panel and saving each one to the POS page. 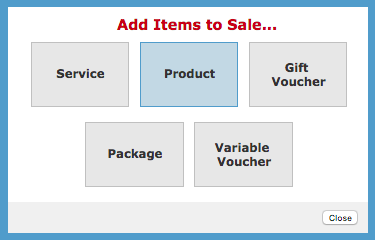 Once you have added all of your used products to POS, click Save Sale and these quantities will be deducted from your professional studio use products.